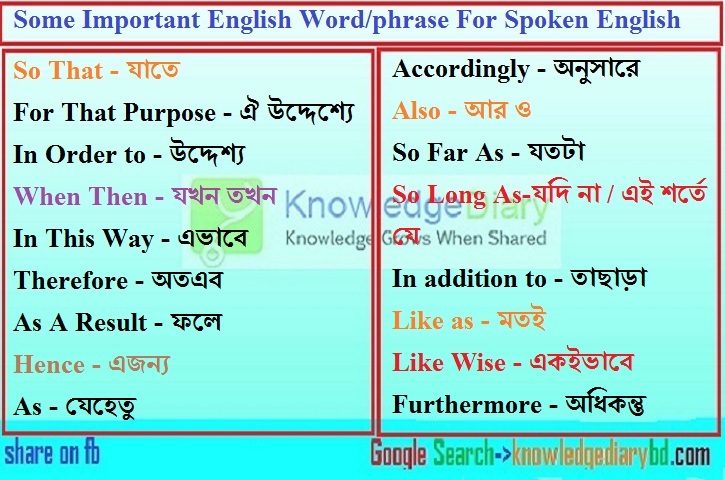 Some Important English Word/Phrase For Spoken English for Learn English, because, we know Vocabulary is most common & important part of Learning English. To speak, write & all other activities about English, vocabulary is very essential. So, you have to know a lot of vocabulary for speaking English. 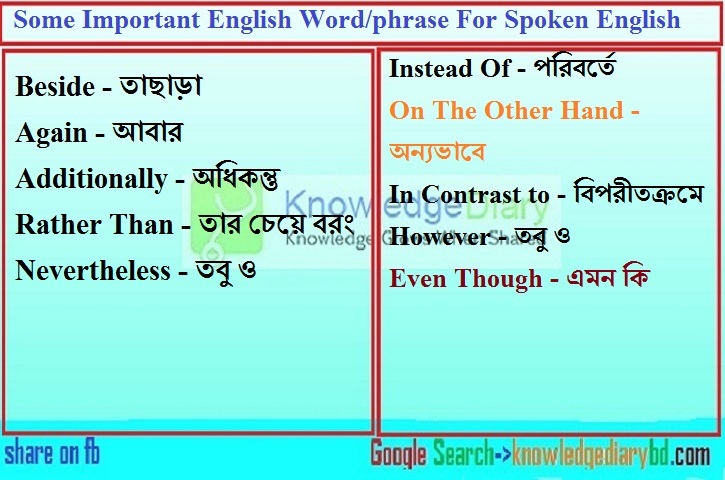 Here I’m sharing Some Important English Word/Phrase For Spoken English to learn English easily.